Email is the new snail-mail. Texts are supposed to be abbreviated and to-the-point, but they're for someone you already know, and should never be used as a first contact with a teacher. "Business" emails of this nature should include a formal salutation and closing, and the body of your text should employ proper spelling and grammar. Use formal language like you (hopefully) plan to use when you see me in person at your audition. And please, no Facebook Messenger. Oh, how I wish no one would mistake that for business use (colleagues included)! Do your research. Please don't ask me to recite policies that are clearly stated on the music department's website or tell you what the band director's email address is. It's all online. Scour over the school's website, the music department's site in particular, and my website/You Tube videos/ blog (ahem) etc. and see how much of your curiosity is satisfied there. Then, and only then, should you ask questions (see below) that you don't get answered online. Formulate clear questions. Ask about the size of the studio, what financial aid is available to you, who you'd study with (all of my students study with me, but at some schools, freshmen all study with a graduate assistant, for instance), and other pertinent information about the program that will greatly impact your decision. Anything you can't find an answer to online (see above) is fair game. When you ask in general what the studio "feels" like, I don't know what you mean and therefore may or may not answer the question you really want to ask. Customize your letter. I don't expect a student to write a completely original letter for each prospective teacher--that would be wasting your time. Just include some personalize references, like naming my school (not someone else's!) and typing my name correctly so that I know you really meant to send the email to me. That little show of effort goes a long way. I am writing to request information about the University of Wyoming's undergraduate program in flute performance. I am currently in high school at XXXXXX, and will graduate in 2017. 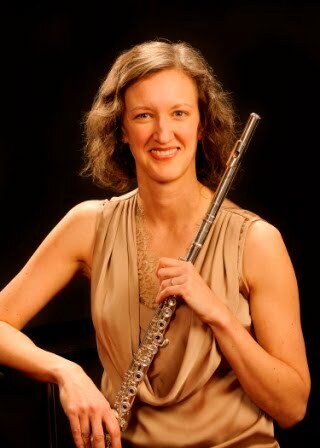 My flute teacher is currently XXXXX. I have also studied with XXXXXX and XXXXXX. If there is anything else that would help me to better prepare myself for your program please let me know. Would it be possible for me to schedule an introductory lesson so that I can learn more about your program and see if it's a good fit for me? Thank you for your assistance. I look forward to receiving this information. A flute student with excellent communication skills"
"Hey Nicole, I am interested in getting information about your school's music program. I will graduate in 2016 and I really want to be a band director could you please tell me where to find: application, audition requirements, band director's email, and anything else you can think of I should know. I was in XXXX Allstate Band last year and have played in solo and ensemble contest for four years. I'd like to know what the feel of your flute studio is, too." Don't be intimidated by the task--if you are contacting a teacher you are truly interested in and have done some minimal research on the school before typing your email, it's going to be great! Reaching out to a prospective teacher ahead of time allows you both to see if you might be a good "fit" for each other, which is crucial to your success. Just keep in mind that you are formally introducing yourself in that first email and give it some real thought before hitting "send". Good luck, and happy hunting!